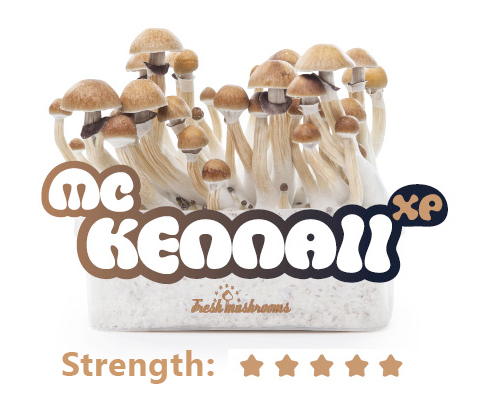 Named after Terence McKenna, the godfather of the psychedelic movement, the McKennaii is a rather new strain of magic mushroom. She is stronger than the once populair “Hawaiian”, which is much tougher to cultivate and grow. This magic mushroom will blow your mind and it’s definitely intended for the advanced psychonaut. Appearance: The caps are dark brown and vary in shape from plain to complex convex shapes. The stems are thick and robust. Hi. First of all thank you again for great service and quick deivery. First i start with my growing experience that might help others. I coudnt find much information about growing except after about a wek or 10 days mushrooms will start growing. So my Mushrooms even after 2 weeks were nowhere to be seen and i was worried. This mckennall strain is slow grower. So dont panic guys and give it at least 2 weeks or 20 days before you start seeing the mushrooms. So be patient. Also if you see mushrooms growing from the sides and not from the top. I strongly recomend you to remove the cake out of the box and place it in bigger place that allow mushrooms grow from the sides. Also this strain mckennall love a warmer temperature. 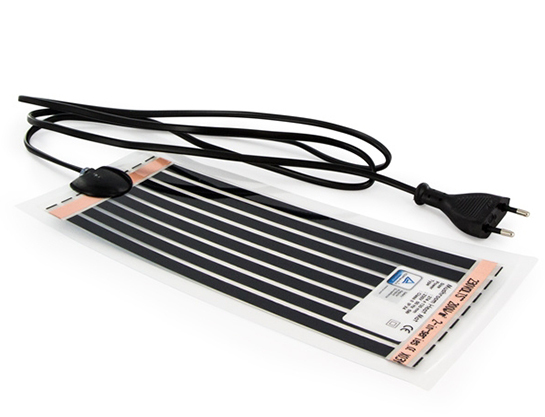 So if you dont have a heating mat (which i recommend) place it on warmer surface. I found place behind my Tv on tv box thats nice and warm. Not so after you have some mushroms i experimented with different methods. Made beautiful tea. When chopped mushrooms on smaller pieces and soak them in lemon and honey for 15 mins. Then i boiled water in the boal and boiled them with cloves (like hot wine) boil it nice and slow for 10 or 20 mins. Then this tea can be served. Beautiful taste and mushrooms taste like fruit. Find a right dose for you but dont be afraid to take more. They are beautiful. You canot overdose or get too deep unless you would eat the whole kit yourself 😀 So people enjoy this as a medicine. Its beautiful. Dmt like or Ayhovaska like experience apart from that there is no throwing up or physical discomfort. So pure goodness. 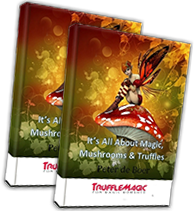 Enjoy your spiritual journey and believe me Mushrooms are the best. Its the oldest inteligent organizm on this planet. Hello first time growing question. 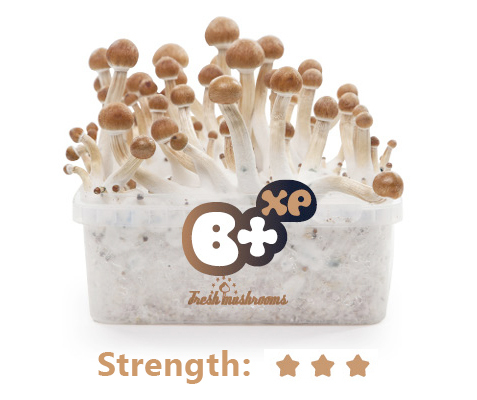 When it says harvest the mushrooms in your pdf do i need to pull them out by the roots or just clip them at the bottom of the stem with scissors or do they just come out easy with one pull intact. Basically im wandering if leaving any stem stumps or roots or whatever contaminates or effects the next grow thanks. 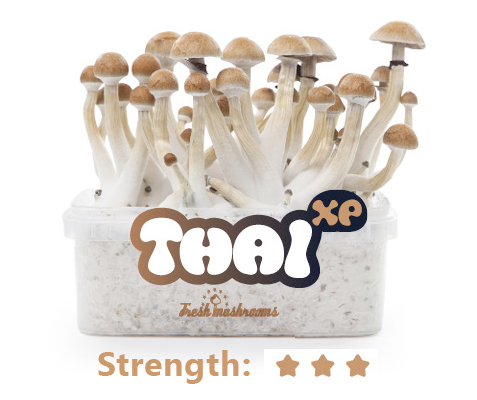 And will these mushrooms be stronger than the Hawaii truffles because of my experimental doings with other substances i seem to need to take 3-6 times more than others for the same effects. uk ship 3 days super fast. Hi Peter, “pull them out by the roots” is the best way to harvest the grow kit. You can always email me if you have more questions :)! 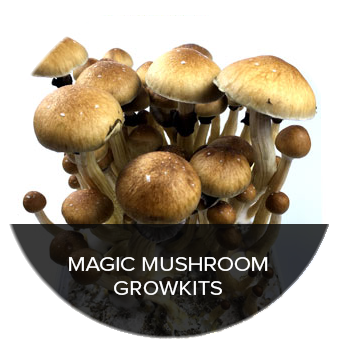 grow kit has arrived…very pleased with the shipping, just wondering what the typical trip dosage is for fresh shroom…as alot of the dosage information ive read is for dried shrooms…please advise..
Hi there! Thank you for your review! 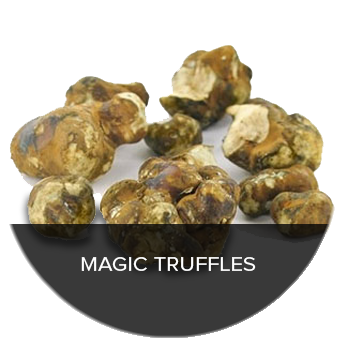 Please read: https://www.trufflemagic.com/tripping/dosage/ for dosage tips/info :)! Recived my kit today, surprisingly fast, ordered it 11th June, recived it today 16 June. Looking forward to grow it. But i miss the fact that there could be more guidance on this webpage and maybe compare the diffrent methots. What’s the story with these I’m very interested in micro dosing and maybe taking enough to have a spiritual experience. Set my intention and wondor about consciousness while high. Can anyone tell me how long the trip lasts and the average dose to take? Anyone with insight is much appreciated. 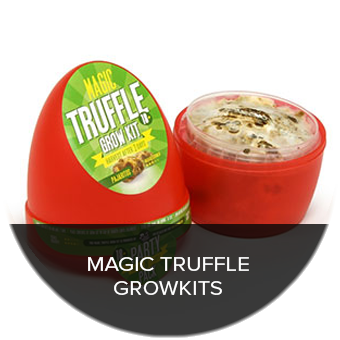 Hi the growkits come ready to grow so the spores are already prepared. My McKennaii looks like mazatapek but it is ok 😀 thanx!!! Very pleased with the results of this product. Very visual and although a slow grower it is much worth the wait. Has grown quickly to my surprise. Till now I had two harvests ob about 400 gr wet together. Harvested in time and better a bit to early to keep the myzel free of spores. After a third coldshock I´ll try another one. Had about 3-4 gr dry and YES – true mindjourney. Same here my friend and I tried them more than 1.5g and nothing at all. Did it the next day again and nothing. I’m really upset and disappointed in this product. Same question can you do something wrong? My shrooms grew fast, they had to grow at least 3 days more. I don’t know, is it bad or not. But I think, that something is wrong with them. 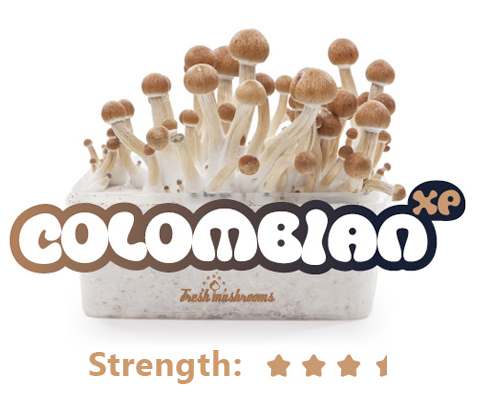 They might be the strongest, but my friends, who ate magic shrooms for the first time, ate 1.5-2.0g of dried shrooms and felt nothing. Maybe I did something wrong. I had 2 harvests and 450g mushrooms. If anything will grow again, it will be the good deal! I really enjoy watching mushrooms grow, I tried 3 kits at the same time, thai, mc kennaii and goldenteacher. mcKennaii is definetely the slowest grower but it comes up an masse, I did cautiously remove a forunner or two, don’t want any spores in the batch. Thai is second and GT sprouts beautifully. I process them in honey, this is a perfect way of preservation I picked up in Wales where I first learned of magic mushrooms. picking them in wild, robot-coupe them in honey. also they were dried and even frozen in. honey works fine for me. also because it does not raise any eyebrows when traveling. I personally believe mushrooms to be an alien race that (amongst others more like us) inahbit the planet to help humanity evolve in consciousness, meaning raising one vibration in order to shet us from suffering. Of course we can learn through adversity as well as Unconditional Love. i prefer the latter and hope you will too. Mushrooms seem to vibrate with me a lot. After rinsing the robotcoupe i drank the mixture of Mc Kennai, so this was a very light portion, like a theaspoon, just to connect with this being for the first time and it kept me up till late. i think this is the most potent type of the three and am very looking foreward to the next time/place to connect. tonns of Love!